Richard Diebenkorn, Cigar Box Lid #4, 1976. Oil on wood, 8 3/8 x 7 1/8 inches. The Grant Family Collection. ©The Estate of Richard Diebenkorn. 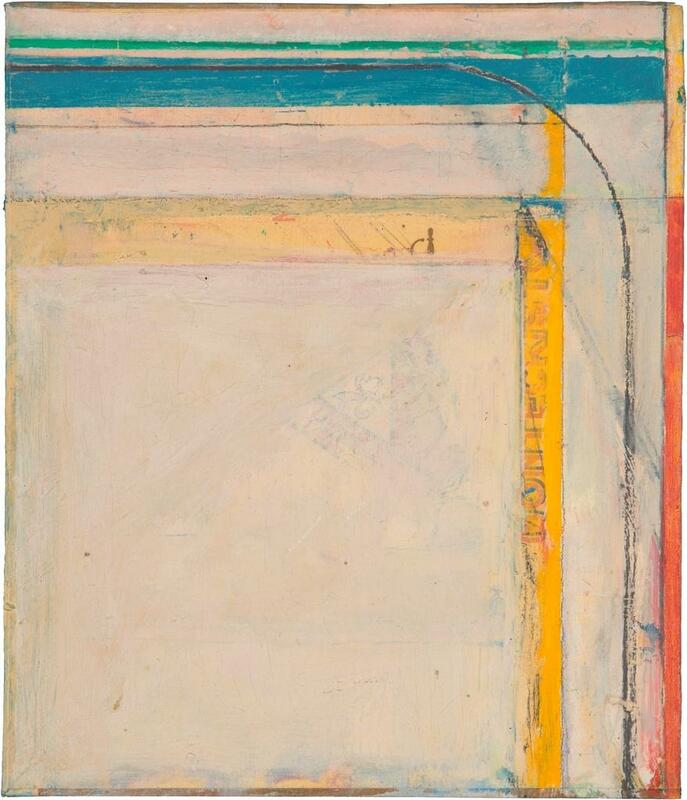 Image courtesy the Estate of Richard Diebenkorn. 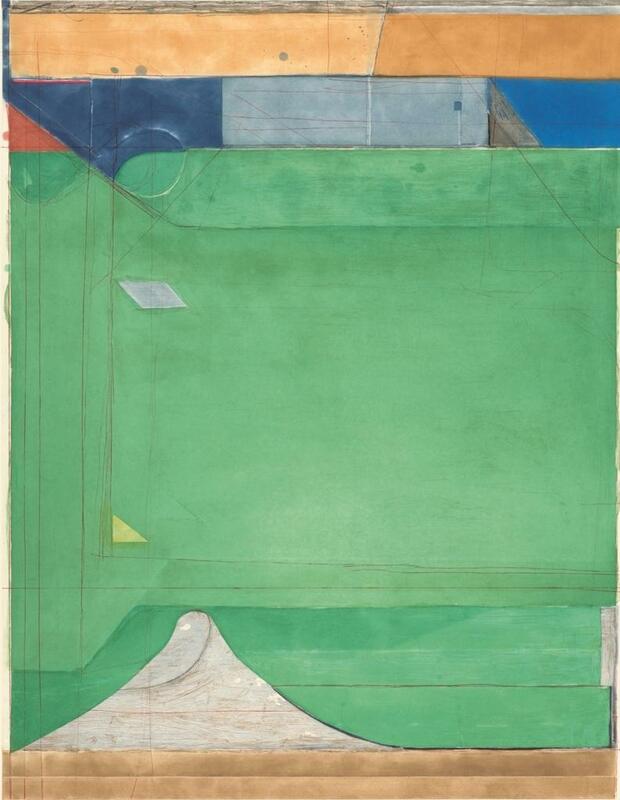 Richard Diebenkorn, Green, 1986. Color aquatint, spit bite aquatint, soap ground aquatint, and drypoint on Somerset paper, ed. 60. Image: 45 x 35 3/8 inches; Sheet: 53 3/4 x 40 3/4 inches. Published by Crown Point Press. Fine Arts Museums of San Francisco, Crown Point Press Archive, Gift of Crown Point Press. ©The Estate of Richard Diebenkorn. Image courtesy the Fine Arts Museums of San Francisco. This summer, the Corcoran Gallery of Art and College of Art + Design will open Richard Diebenkorn: The Ocean Park Series, a retrospective of one of the most important bodies of work in American abstract painting. On view on the East Coast exclusively at the Corcoran, The Ocean Park Series is the first major museum exhibition to focus on this influential series made between 1967 and 1988. The exhibition features nearly 80 works—large-scale paintings, smaller paintings made on cigar box lids, mixed-media drawings on paper, monotypes, and prints—brought together for the first time to offer a full exploration of the series through the varied media in which Diebenkorn worked. 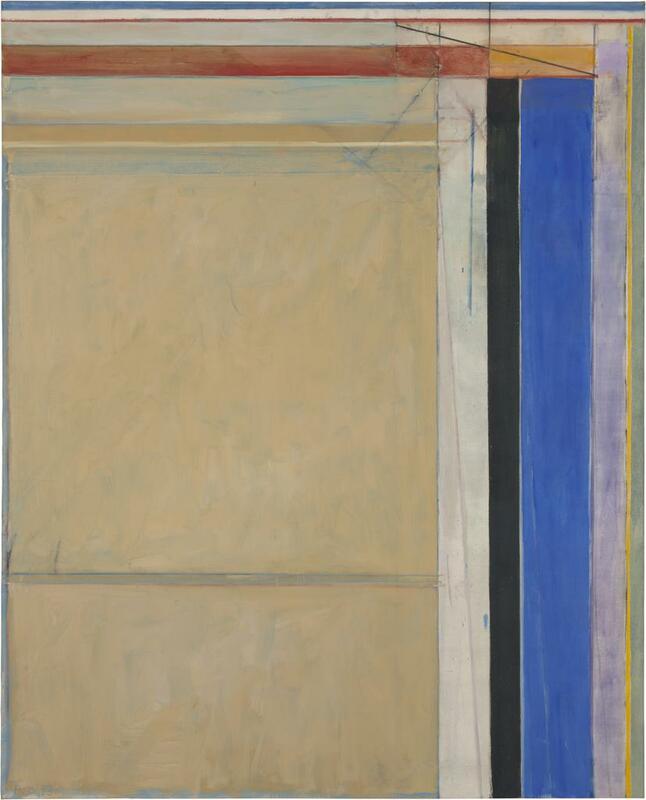 Richard Diebenkorn (1922–1993) was a pivotal figure in the history of modern painting. The Ocean Park series is distinguished by large, luminous paintings that build upon a grid-like system, with extensive reworking and scraped layers of translucent paint—processes that are discernible to the viewer. His works on paper, including prints, drawings, and collages, are equally important, exploring the same visual territory as the large-scale canvases. Consisting of monumental, geometric panes of saturated color, the ethereal and powerful paintings in the Ocean Park series capture the psychology of place that defined the California coast during this time and showcase the innovations and improvisations of an artist whose work inspired legions of artists and greatly advanced the lexicon of abstraction. Born in Portland, Oregon, in 1922, Richard Clifford Diebenkorn, Jr., grew up in San Francisco and attended Stanford University (see Diebenkorn Artist Bio). After serving in the U.S. Marines, he took advantage of the G.I. bill and began studying art at the California School of Fine Arts, where his teachers included Mark Rothko and Clyfford Still. He later studied at the University of Illinois, Champaign, and the University of New Mexico, Albuquerque. During the early stages of his career, abstract expressionism loomed as a significant influence. In the mid-1950s, as a leader of the Bay Area Figurative Movement, he pioneered an expressive, figurative style that merged the brushwork and compositional strategies of his early work with representational imagery depicting familiar people and landscapes. In 1966, he moved from the Bay Area to Santa Monica for a teaching position at UCLA. Diebenkorn first found a small and windowless studio in the same building as the painter Sam Francis. Eventually, he took over Francis’s light-filled studio. Around this time, he abandoned the figurative style he had become known for, surprising the art establishment, his family and close friends, and himself. As with previous series by the artist, the Ocean Park works were named for the place where they were created, a beachside community a few miles south of his home in Santa Monica. Thus began a series of more than 140 abstract paintings and works on paper that he would continue until nearly the end of his life and that would become his seminal body of work. Even more than his previous work, the Ocean Park series was acclaimed by critics and pursued by collectors, yet his place in art history narratives was less established than that of his East Coast peers. In the wake of major retrospectives in 1976 and 1997, however, his reputation has moved into the front rank of post-War American painters, and his dedication to the art of painting and the power of abstraction continue to inspire today’s artists. A full-color, hardcover catalogue, Richard Diebenkorn: The Ocean Park Series, features essays by exhibition curator Sarah C. Bancroft; Susan Landauer, independent curator; and Peter Levitt, a poet who has also published journalism, essays, fiction, and translations from Chinese, Japanese, and Spanish; with contributions by Anna Brouwer. It includes a chronology, bibliography, and index. Published by Prestel USA, 2011. 256 pages. $65.